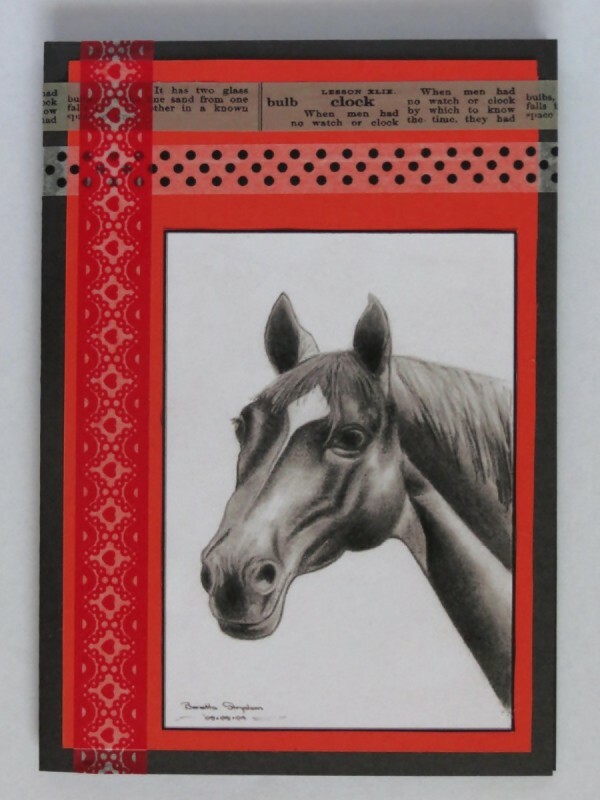 If you have a friend, co-worker, or family member who loves horses, this handmade card is perfect for the occasion. 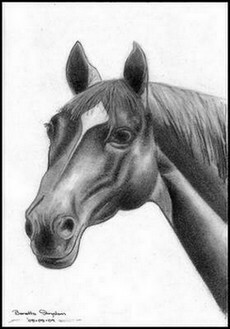 This is a guide about making a love of horses greeting card. Use ordinary black paper and red cardboard, and a black-and-white picture of a horse. Spice it up with Washi tape, and create a card with lots of glamor and drama. Fold the A4 sheet of paper from top to bottom and then from left to right. Cut a piece sized 3.6" x 5.4" from the red cardboard. With the second fold at the left, center and glue the piece of red cardboard to the front of the card. Glue a strip of each 10mm Washi tape to the top of the card and cut off any protruding parts. If necessary, add a drop of the glue to the Washi tape so that it wont lift up at the edges. Glue a strip of 15mm Washi tape to the left of the card and cut off any protruding parts. Glue the printout of the artwork in place to the right of the 15mm Washi tape.